Drought continues to grip the ACT and surrounding region. File photo. If you sweltered through last summer, bemoaned the drought and have had trouble coping with the heat over Christmas, your instincts are right: 2018 has been a very hot, very dry year in the ACT. And a senior Canberra climatologist says the extremes indicate that climate change is beginning to bite. The Bureau of Meteorology has released its Annual Climate Statement, showing 2018 was Australia’s third-warmest year on record, while rainfall totals were the lowest since 2005. The ACT’s rainfall was “very much below” average according to the BOM’s Dr Lynette Bettio, and our winter was the driest since 1994. Total rainfall for Canberra Airport was 472.0 mm, which is 76 per cent of the long term average. 86 rain days were recorded, below the average of 105 days. That’s the least number of wet days since 2006 (which experienced 65 days). 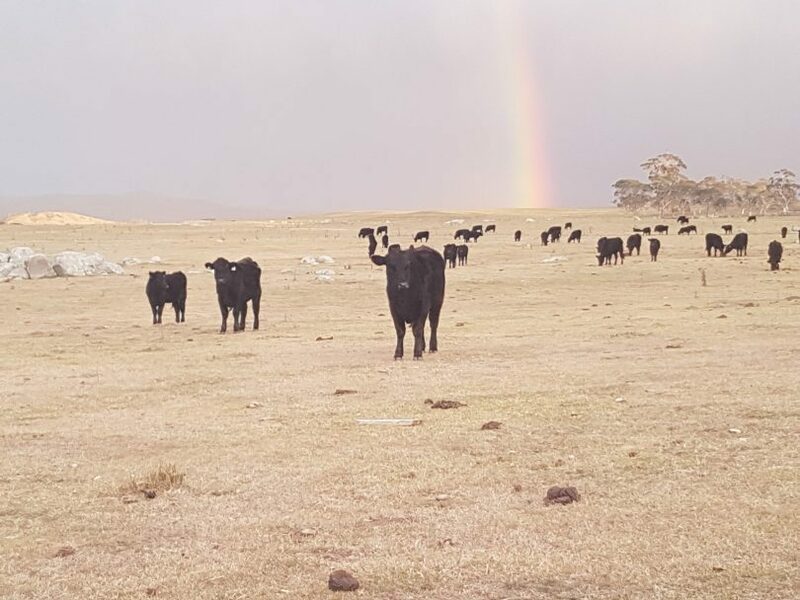 While there was some rain relief in the ACT between October and December, the very dry spell from January onwards and high daytime temperatures were a troubling combination. Canberra’s hottest day was January 7, when temperatures at the Airport hit 40.6 degrees. Canberra Airport’s mean temperature was 1.3 °C above average across the year. The mean maximum temperature at Canberra Airport was 22.0 °C, which is 1.7 °C above average, and the warmest on record. Daytime temperatures at Canberra Airport were above average for every month of the year. The mean minimum temperature at Canberra Airport was 0.4 °C above average, and temperatures dropped below 2 °C on 88 days, which is 5 days less than average. “At Canberra Airport, we had around double the usual number of days above 30 degrees. These extremes are consistent with what is happening more broadly in Australia, and globally where hot extremes occur more frequently,” says Dr Sophie Lewis from UNSW Canberra. Dr Lewis is one of 721 global climate scientists working on the Sixth Assessment Report by the Intergovernmental Panel on Climate Change (IPCC). She spoke to Region Media from an IPCC meeting in Vancouver. “There have been many recent scientific studies looking at the causes of extreme heat in Australia in recent years. These link extreme heat with background warming from climate change and show that a small change in average temperatures across the globe is already leading to large changes in the frequency, severity and duration of heatwaves,” Dr Lewis said. Dr Lewis’s work for the IPCC specifically relates to weather extremes in a changing climate, using newly developed scientific analysis methods. “It’s only been in the last 10 years that we’ve been able to scientifically investigate what is causing extremes. Often, in Australia particularly, we have a heatwave or a bushfire, and people come out and say ‘well we can never link climate change to extremes’ – that’s just not the case anymore, that’s really old information,” she said. Has done so for billions of years. It would be helpful if Dr Lewis would explain what she means. I suspect she is referring to more computer modelling which proves nothing. It’s about time that Dr Lewis and her 720 colleagues accepted that climate change is happening all the time and we have to adapt to. It is not something that can be controlled by social engineering. Tathra bushfires supercharged by climate change?